* It’s Damson Day this weekend. The annual festival takes place at Low Farm in the Lyth Valley this Saturday. I can’t make it this year but I can offer a story from a previous trip – first published in the Independent. Spring has come to Cumbria’s Lythe Valley. The rural enclave between Kendal and Windermere is transformed for a fortnight each year by an explosion of snow-white damson blossom. I’ve timed my visit perfectly. In a field outside the village of Crosthwaite on a crisp spring morning, the blossom cascades around me the first flakes of winter. Daffodils and primroses add splashes of colour. Beyond the farm lies Underbarrow, verdant and alive, while Kentmere sports a heavy frost on the tops of its fells. Local folklore suggests either the Romans first brought damsons to the valley from Damascus in 200AD, or monks coming to establish Furness Abbey from Ireland in 12th century. Either way, the hardy, plum-like fruit took to the tough conditions of the Lakeland fells and the first ever records of damsons sold at Kendal market date from 1780. Today some 100 acres of the valley are under orchard, producing 20 tones of damsons each year during the September harvest. Westmorland damsons have, say locals, a distinct, nuttier flavour. The damson orchards fell into decline after the Second World War, but the Westmorland Damson Association revived traditional cultivation in 1996, establishing the Damson Day festival soon after. The annual event is, I find, part community fair, part country show. At the festival showground at Low Farm I peruse the damson-inspired goodies from local producers, chutneys, beers and even gin, before following a damson walk through the orchards. 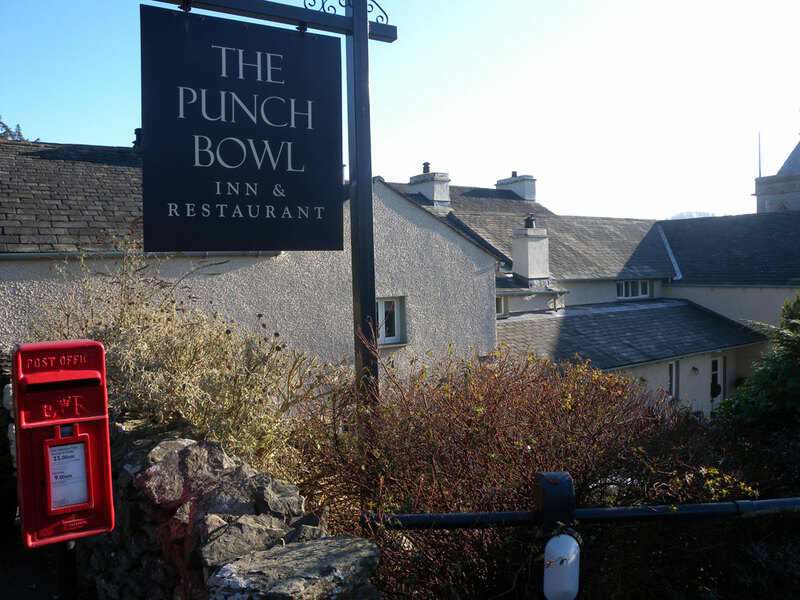 Later that evening at Crosthwaite’s Punch Bowl Inn (pictured above), I tuck into a damson-themed dinner of slow-roast pork with black pudding and damson puree, followed by a damson soufflé, washed down with a damson gin. I knew nothing about damsons until my stay in the Lythe Valley. But, from this day on, I will always think of damsons as the true taste of spring.